Wardrobe’s job tends to start at the beginning of Tech week, which is the last week before opening night. Rarely have I found that you need to be at rehearsals; except for fittings, but I’ll get to that. So, on your first day, you’ll need to be bright, because for certain it’ll be an early. GET IN!! I’ve had about 4 first days on panto and they’ve varied in location, level of preparation and nerve state, but generally they go like this. You’ll arrive at the venue and will be shown around – stage, wings, dressing rooms. And then you’ll be given a rail of costumes. This is your only guidance for the day. Once the ‘Help’ alarm has subsided in your head, if it hasn’t been done already liaise with the director or company manager to allocate the dressing rooms. First billings or ‘Stars’ go in the nicest, most convenient dressing room to the stage; normally dressing room 1, as a rule by themselves. The same applies to second billings. Principles group together, females then males. In some cases the dame, even if not first or second billing, may require their own dressing room, due to the volume of costumes they have. Ensemble share, Seniors separately and lastly Juveniles and Intermediates share (let’s make it easy for the chaperones). Back to the rail. I like to have a check through the costumes (to see what I’m up against), noting down any damage or immediate costume alterations. Then start dividing the costumes into dressing rooms. If they are all labelled, brilliant, if not and it’s likely they won’t be, use your initiative and divide them up as best you can. 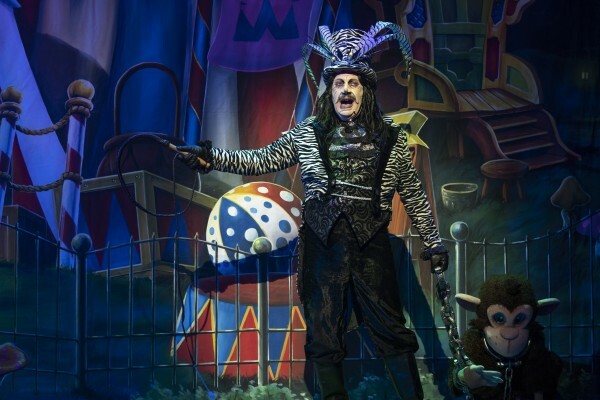 Pantomime costumes aren’t laced with subtlety so it should be pretty obvious. Personally I tend to leave the dame’s costumes on the rail if their dressing room is far away, as mostly they will have quick changes and the likelihood is they’ll stay put in the wings. Whilst dividing and collating you’ll notice things missing;- shoes, accessories, possibly underwear. Things you don’t find. add to your to-do list. Now it’s time to find each adult actor and/or the director/Company manager/producer to find out what costumes need fitting, altering, making or buying. If there is any buying to be done this is the first priority, because you’ll have to find nearby shops, especially in an unfamiliar town, then fitting. And Happy GET IN to you! Technical Rehearsal. Techs are long, so bring food. First port of call, make sure everyone knows how to put clothes on. Once everyone is fully decent, join the company and crew in the auditorium for tech. For wardrobe, techs are the time to plot costume changes, working out if they are quick and logistically where will be the best place to do them. Mostly it’s the dame’s dressing room but this can change from show to show. Generally dancers look after themselves as there are lots of them but wardrobe needs to liaise with the dance captain in case they need a hand. It’s good to be around the stage to check the performers’ traffic flow,, learning where and where not to be. Notes and alterations can be made during tech, but you need to stay within earshot in case you are needed. Quick tip (that I always forget) DON’T HAND ANYONE A PROP. This seems a bit drastic, but it’ll end up being your job for the whole of the run (think of all the tea you’ll not be able to drink). Dress Rehearsal. This is the first occasion for everyone to fully run through the show to time. Dress rehearsals help to iron out any kinks and bring to light any problems. From a costume point of view, it’s the time to check whether everyone has time to change and get on stage on cue. Pre production is really just about making the best show possible, that can run throughout the festive period, without too many casualties. During the show’s run it’s all about pacing yourself. Get in early for laundry or stay late the night before, to make sure everything is washed and ironed for the shows, (even the 10 a.m’s). Maintain the costumes, troubleshooting when something breaks and making sure it looks as good in every show as it did in the first one (even the 10 a.m’s). 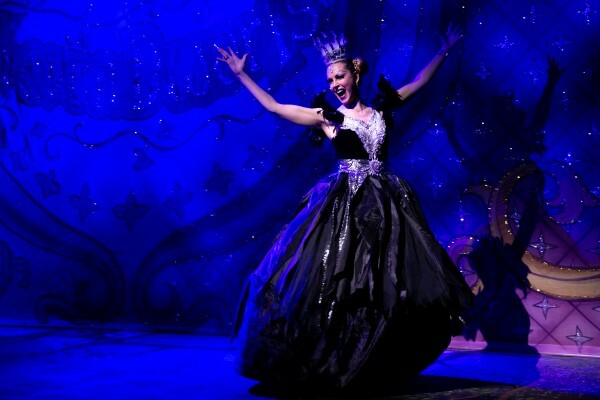 And of course your biggest priority as wardrobe at panto, spreading the festive cheer (especially at the 10 a.m’s). 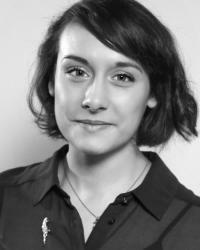 Elle-Rose is a freelance costume supervisor and designer, she trained at The Arts University College Bournemouth. 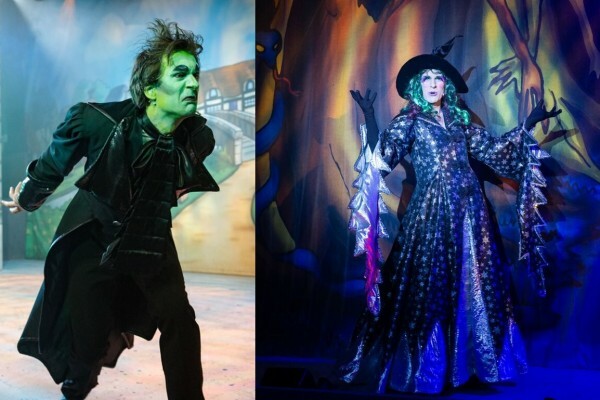 She is currently working for Magic Beans Pantomimes for this seasons pantomimes Robin Hood (Grove Theatre, Dunstable) and Aladdin (Woodville, Gravesend). 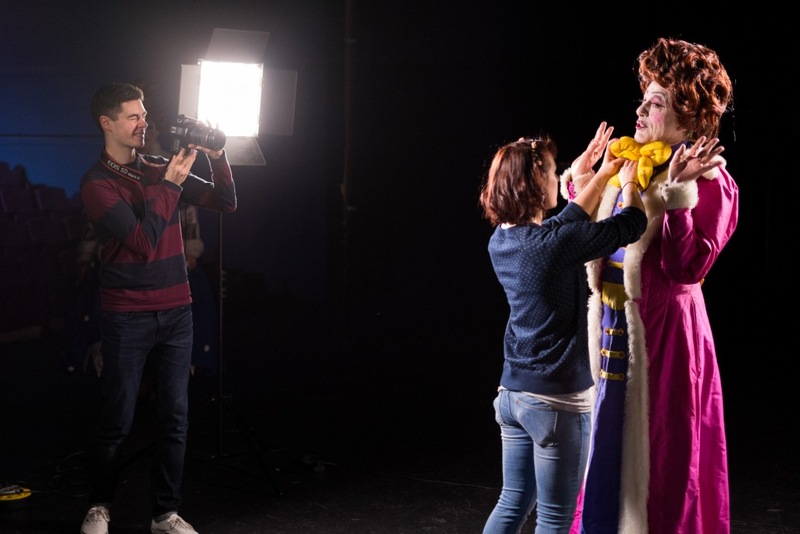 She comes to them straight from their touring production of Alice in Wonderland (Must Opera House, Cairo) having worked on two Christmas and one Easter pantomime seasons for Magic Beans Pantomimes. Elle-Rose is also enjoying her work on the 25th Anniversary revival of Miss Saigon (Cameron Mackintosh). Her previous West End work includes Dirty Dancing (Ambassador Theatre Group). Elle-Rose design credits include Darling of the Day, Pipe Dream, Billy and Love Story (Union Theatre). She earned a 2013 ‘Offie’ (Off West End) nomination for her costume design for Darling of the Day.